The E in question: Dodgers say no to no-no — but Arrieta too? 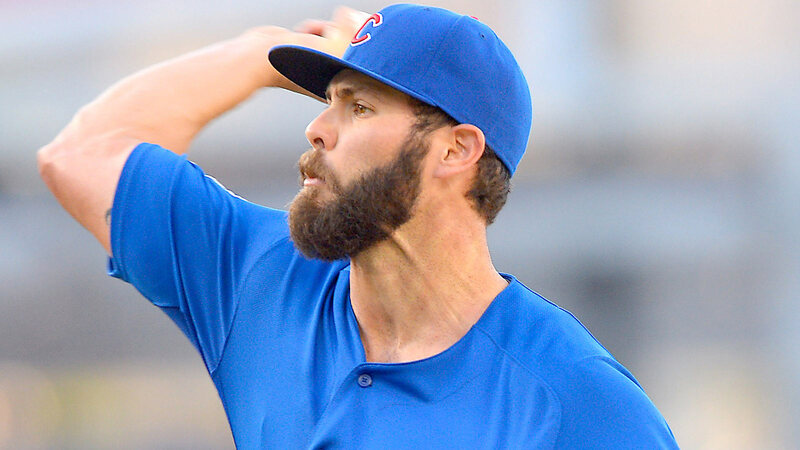 The Los Angeles Dodgers don’t believe they were no-hit Sunday night by Chicago Cubs pitcher Jake Arrieta. Maybe the Dodgers should know, after all they were recently no-hit at Houston, so they should know one when they see one. The history books, however, will forever show Arrieta recorded his first career no-hitter thanks to an error ruling on a hard one-hopper to second baseman Starlin Castro in the third inning. Castro couldn’t handle the hot shot and had it bang off him and carom to his right. By the time Castro collected the baseball he had no play on Enrique Hernandez at first. The play was ruled an E4. After the game while being interviewed on the field by ESPN, even Arrieta conceded that he thought it was hit hard enough to be ruled a base hit. And maybe Arrieta was simply sticking up for his hard-luck teammate, who has had a tough season that’s included losing his job at shortstop to rookie Addison Russell and moving to second base. If Arrieta thinks it was a hit, the Dodgers definitely do. Of course, they have no interest in being known as a team to be no-hit twice in 10 days. This one won’t be overruled, so it’s up to interrupt as you wish. Cubs and Dodgers fans probably won’t agree with each’s interpretation.